2017 In A Sentence: After a 3-1 start to the year and two upsets of FCS Top 25 teams, the Skyhawks dropped three straight league games to drop them out of title consideration, though they did end up above .500 thanks to a 24-0 win over Tennessee Tech to end the year. Biggest Shoes to Fill: S Khalid Hagens concluded his tremendous UT Martin football career with a 49 tackle, 3 tackle for loss, 3 interception season while only suiting up for 8 games. 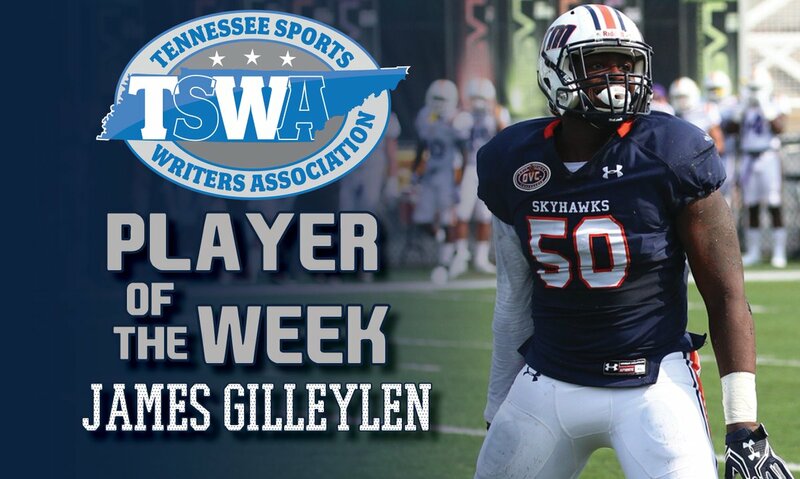 Key Player: Martin’s defense was its biggest strength last season, and LB James Gilleylen returns as the Skyhawks’ leading tackler. Last season the linebacking duo of Gilleylen and LB Kevin Prather, Jr. combined for 165 tackles and 19 tackles for loss. How will head coach Jason Simpson deploy his two star linebackers best in 2018? 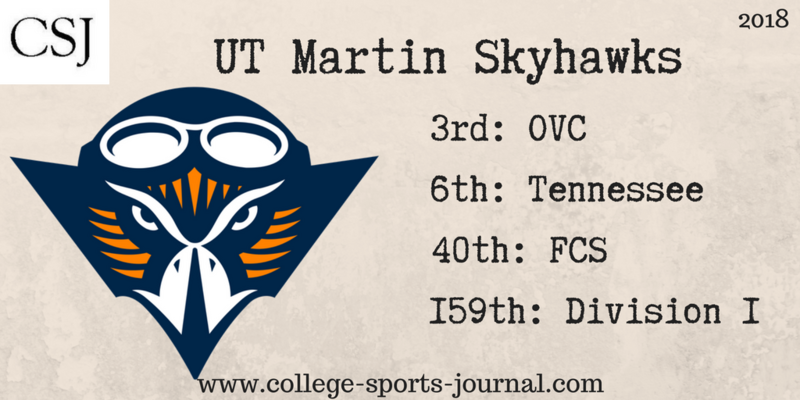 Fearless Prediction: UT Martin’s defense is OVC-championship worthy without a doubt, but the question as ever with the Skyhawks is whether their offense will come together enough to give Jacksonville State a run for its money. With their gauntlet of an early schedule – two FBS schools and Austin Peay – Skyhawk fans will know right out of the blocks whether they will be contenders or pretenders.